The Overlook is located between W Mineral Avenue and S Platte Canyon Road in Littleton. It is a subdivision of 60 homes built between 1996 and 1999 by Richmond American Homes. You will find mostly 2-story homes with few ranches which sit on a lot size of fifth to the third acre. All homes include 2500-4100 above square feet with 3 car attached garages. There are several parks and lakes located nearby to this subdivision such as Bufflehead Lake, Eaglewatch Lake, and Columbine Manor Park. Wilder Elementary, Goddard Middle, and Heritage High School are the schools located nearby to this subdivision and kids attend these schools from this subdivision. This subdivision is ideally located near several shopping spots and restaurants. See what your home is worth With an Instant Home Valuation Online. Want advice on selling your house? We provide a free staging consultation, pre-listing prep plan, and a The Overlook real estate market analysis. Call us at 303-325-5690 to learn more. New to the Area? 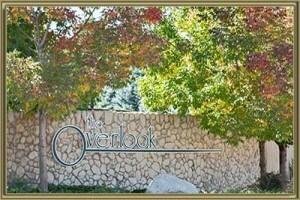 Call our The Overlook real estate agent at 303-325-5690 to schedule your tour of Homes in Littleton CO.